We Build Web Sites that Work. Since 1999. We are a team of consultants, designers, and developers with a variety of backgrounds. Among our staff you’ll find PHP gurus, internet marketing geniuses, HTML wranglers, and more. We are artists and geeks who combine forces to construct your presence on the web. We’ve worked in retail and business-to-business engagements, in industries that range from healthcare to automotive to oil & gas, not to mention every kind of e-commerce vertical you can think of. 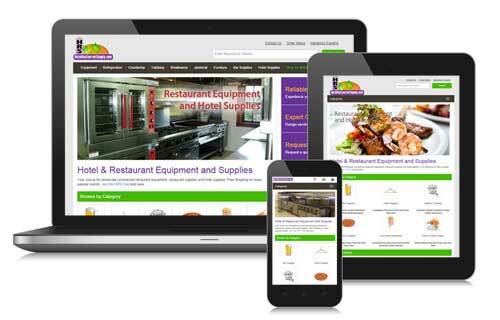 We help businesses operate on the web more successfully and efficiently. Our focus on is ecommerce websites and WordPress blogs, often done in conjunction to build a comprehensive presence for our clients. We employ a variety of white-hat SEO techniques to build your audience and to drive more qualified customers to your door. We offer social media consulting services, and we also manage social accounts for a variety of industries. And should you need something unique, we also provide custom application and mobile app development. Stay Informed! Subscribe to our newsletter to receive tips on marketing your business, improving your website, increasing your traffic, and e-commerce industry news. OK, we admit it – we love compliments! We also love making our clients happy. Here is some of the feedback we’ve received. Have something to say? Drop us an email and let us know. We couldn’t do it without them. NetBlazon offers fantastic web design service! We will be using them for our e-commerce site for a long time to come! – Matthew T.
After dealing with two internationally recognized web development teams, we found this pearl in the ocean, NetBlazon. The level of close interaction with rapid deployment of notes we experienced with NetBlazon was something none of the big boys could achieve. It’s all about execution and we found it right here in Brevard. – Ralph Z.
We’ve been working with Susan at NetBlazon for over 8 years and only have great things to say. Anything we throw at her she gets done, and gets done efficiently and effectively. I highly recommend her to any e-commerce manager looking for a great programmer. – Kevin L.
We couldn’t be happier with the success of your team. We’ve had numerous teams in before, but you were able to actually get the work done … thanks for all your hard work. – Debbie D.
We are extremely pleased with the quality of work we received from NetBlazon. They were able to provide us with a clear plan for improving our site and able to complete the work on schedule. Anyone using Miva Merchant should seriously consider NetBlazon due to their comprehensive understanding of the Miva software environment as well as their product modules and customer service. – Wes H.
Past weekend was big for us. Lots of sales. I think people like the new look you created for our store… We are happy folks. Very excited with what you have done and would like you to keep improving our site. – Rick K.
We’re proud of the recognition and certifications we’ve received. Below are some of our industry associations. Module that adds 10% when a customer purchases a gift certificate, used for a holiday promotion.